What is Central Bank Digital Currency? CBDC is money issued by a central bank in electronic form. The Bank of England currently has no plans to issue a CBDC. However, other central banks are actively exploring the possibility, e.g. Sweden’s Riksbank. Most research to date further defines CBDC as being denominated in national currency, e.g. pound sterling, and accessible to a wider range of participants than central bank reserves. A CBDC could be designed for use by just a narrow set of participants, e.g. financial institutions only, or a very wide set of participants encompassing, for example, all individuals and businesses in an economy, or anything in between. While it is sometimes assumed that a CBDC would be built using blockchain or distributed ledger technology, this may not be necessary. If designed badly, CBDC presents major risks to financial stability. 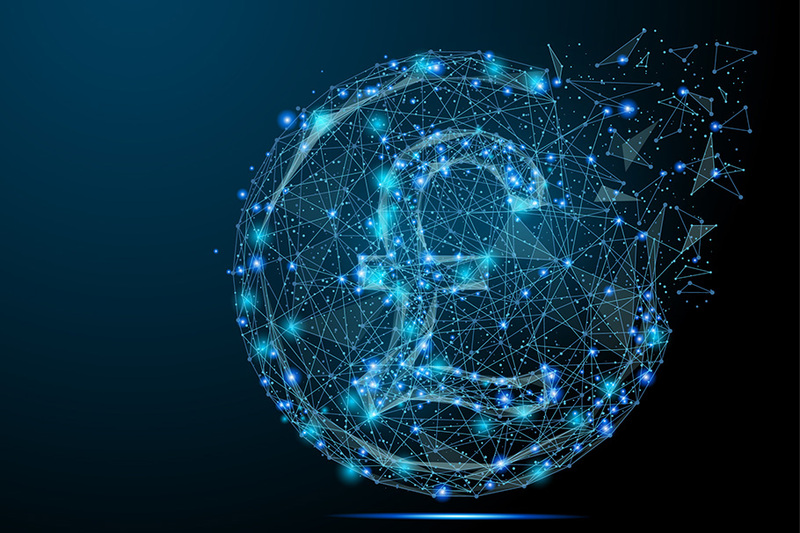 One concern, highlighted by several central banks including the Bank of England and Denmark’s National Bank, has been that CBDC could severely impact bank funding. This is because households and businesses may view CBDC as a substitute for bank deposits, particularly if CBDC is easily usable as a transactional medium of exchange. If this made deposit funding more expensive, it could also have material implications for credit provision in the economy. Another major concern is that a CBDC, if designed to be used as an effective payment system, would unavoidably open the door to rapid bank runs. Such runs could be fundamentally different and of larger scale than what we have seen in the past, since with a (poorly designed) CBDC depositors could conceivably run out of the banking system as a whole and into central bank money with near instantaneous speed and at unlimited quantity. There are many design decisions for any hypothetical CBDC: Who can hold it? Should there be a limit on individual holdings? How would it be issued? The design of CBDC directly affects how it will be used and its impact on financial stability. In our recent paper we specify four design principles such that, to a first approximation, bank funding need not fall when CBDC is introduced, and the amount of credit provided to the private sector does not contract. These same four principles also address the risk of system-wide runs from bank deposits to CBDC, for both narrow- and wide-access forms of CBDC. The first core principle is that the CBDC pays an adjustable interest rate. This allows CBDC and bank deposits to trade at par; that is, one pound of CBDC is worth one pound of bank deposits. This core principle is particularly important under a CBDC quantity rule. Under a quantity rule the central bank fixes the quantity of CBDC it issues and allows the interest rate paid on CBDC to vary to equilibrate demand for CBDC with supply. In contrast, under a CBDC interest rate rule the central bank fixes the interest rate on CBDC and allows the supply of CBDC to match demand. In this case an adjustable interest rate continues to be important as it allows scope for the central bank to use discretion to lower the interest rate on CBDC in response to surges in demand for CBDC that could occur in periods of financial stress. The second core principle is that reserves and CBDC must be distinct, and not convertible into each other by the central bank. This means that a CBDC system should not be created by simply expanding access to reserves, but should instead be created as a separate and new form of central bank money. Without this principle, depositors could potentially run out of the banking system as a whole and into CBDC by using the services of a single bank that declares its readiness to exchange bank deposits held elsewhere into CBDC. This fundamentally arises from other banks’ existing commitment to settle interbank obligations in reserves via the real time gross settlement system. Breaking the link between reserves and CBDC removes this risk. The separation also enables reserves and CBDC to have different core purposes, and for the central bank to use either the interest rate on or the quantity of CBDC as an additional policy tool. It also enables the central bank to retain control over the quantity of reserves in the financial system. Importantly, breaking the link between reserves and CBDC does not imply that reserves and CBDC will cease to trade at par. Indeed, parity can continue to hold between all forms of central bank money and commercial bank deposits. The third core principle is that there should be no guaranteed, on-demand convertibility of bank deposits into CBDC. If banks were obligated to provide CBDC in exchange for deposits at any time and without limit, then near instantaneous large scale runs out of bank deposits and into central bank money would be possible. This is a run out of the banking system as a whole, rather than a run from bank to bank. To understand why, we first note that a credible unlimited guarantee to convert deposits to CBDC would ultimately require a commitment by the central bank to lend as much CBDC to banks as they would need to fulfil their convertibility promise. In extremis, this would mean the central bank lends CBDC to banks unsecured. Expanding the aggregate supply of CBDC in this way allows the private sector, as a whole, to shift out of deposits and into CBDC. Conversely, if the aggregate supply of CBDC is not increased, any individual investor’s exchange of deposits for CBDC necessarily has as its counterpart another investor’s exchange of CBDC for deposits – in other words, the aggregate quantity of deposits would not change. This third principle could be implemented in several ways, such as a daily cap on the amount of deposits a bank is obligated to convert to CBDC, or a cap on the quantity of CBDC any individual can hold. However, caps on CBDC could be problematic to implement, and could mean that in some circumstances CBDC would cease to trade at par with other forms of central bank money. A more attractive alternative is therefore to simply place no obligation on banks to convert deposits into CBDC at all: banks could choose to provide CBDC for deposits, or not, it is their business decision. This approach allows banks to manage their individual risk, while still providing assurance that the risk of a run out the banking sector as a whole has been addressed. The fourth core principle is that CBDC only be issued against eligible securities that could, for example, be government debt. This is consistent with how other forms of central bank money (reserves and banknotes) are provided to the economy today, and it allows the central bank to manage the risks it faces when its balance sheet expands with the issuance of CBDC. It also allows the central bank to affect which assets are removed from private sector balance sheets when the supply of CBDC is increased. Issuing CBDC against eligible securities also means bank funding does not necessarily contract when CBDC is introduced and some depositors wish to exchange deposits for CBDC. This is because when banks need to purchase CBDC from the central bank, they can potentially acquire the eligible securities needed from the non-bank private sector. When banks source eligible securities in this way, they provide the seller of the security with new deposits (or potentially some other bank liability), such that there is no net decrease in aggregate bank funding. While these design principles address some of the major concerns about the financial stability implications of CBDC, risks remain. For example, even if bank funding and credit provision do not contract, the presence of CBDC may affect the stability of deposits, the composition and cost of bank funding, and the profitability of banks’ business models. Moreover, implementing the principles is not trivial. For example, an effective mechanism would need to be designed to allow the CBDC interest rate to adequately adjust. That said, an understanding that the introduction of CBDC does not necessarily open the door to runs out of the banking system is a material step forward. Without such a conclusion, the balance between the costs and benefits of issuing CBDC might look quite different. Next Post Would a Central Bank Digital Currency disrupt monetary policy?